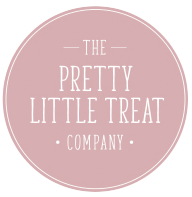 Our incredibly popular Pretty Little Lip Balm is now available in a NEW flavour and design – Sweet Violet. Inspired by those old fashioned sweets, these little tins of delight are decorated with adorable vintage images and topped off with a pretty little bow. Made with a blend of Shea Butter and Beeswax to lock in moisture and plump and soften our lips to perfection. Tasting dee-li-scious!…will you be able to resist licking it all off! We use natural mineral colours in our lip balms which also add a beautiful shimmer to your lips. We have a selection of lid designs featuring beautiful vintage styled ladies, your lip balm will be selected at random but will always be very pretty! Presented in a beautiful reusable organza pouch with gift tag. I love this lip balm I used it all through last winter. The smell takes me back to childhood sweets.